meiprofile is using Smore newsletters to spread the word online. Should All New Graduates Be Writing Targeted Cvs? No, not all. Only those new grads who desire jobs. If that sounds difficult, it is only a manifestation of the new economic reality. In the consequences of - and sluggish recovery from - the worst downturn since the 1930's, your curriculum vitae is competing fiercely who has any number of equally-qualified candidates. Your curriculum vitae must first make it through several rounds of screenings, if you like to be the one called in for job interviews. Those curriculum vitaes that are targeted toward the job opening in question enhance their chances of getting that phone call. Those curriculum vitae of olden days (i.e. those good ol' one size-fits-all curriculum vitaes) will still be convenient - to start the fires that heat the cans of soup that feed the alumnae who refuse to go to the trouble to compose targeted curricula vitae. Start by writing a 'grasp' or center curriculum vitae. Throw everything at it that it's possible to think of. Every positive trait, attribute or personal feature you've got that might get involved in a work environment. Every occupation, regardless of how apparently trivial. Every club or association to which you were ever a member, notably in the event that you held a leadership job. Line up brief descriptions of the very important faculty courses. Don't worry regarding the length of this thing - no one will view it but you. Working from that grasp curriculum vitae, spinoff a targeted curriculum vitae as needed. To achieve this, first make a copy of the learn (so you don't lose it), then take that duplicate and begin eliminating everything that is not appropriate to the position to which you're using. If you choose not to use an objective statement, set the title of the job op straight to your own profile or overview section (and you had better be utilizing one of these). 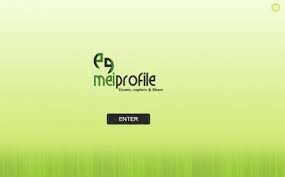 Make use of the equilibrium of your own profile section to re-direct your personal and professional qualifications.